Bob Egan | Arms, Distance. Did you know that Wilco loves Chicago and Chicago loves Wilco? It’s true! If you’ve been holed up for the week not reading, nor internet-ing and just concentrating on staying warm, you may not be aware the Jeff Tweedy & Co. have pledged to perform every song they’ve ever written in a five-day stint at The Riv. Don’t you love ambition?! This is very exciting for half the fans of Wilco who have followed the rock pioneers since their twangy debut and describe them as “alt-country” (whatever that means). 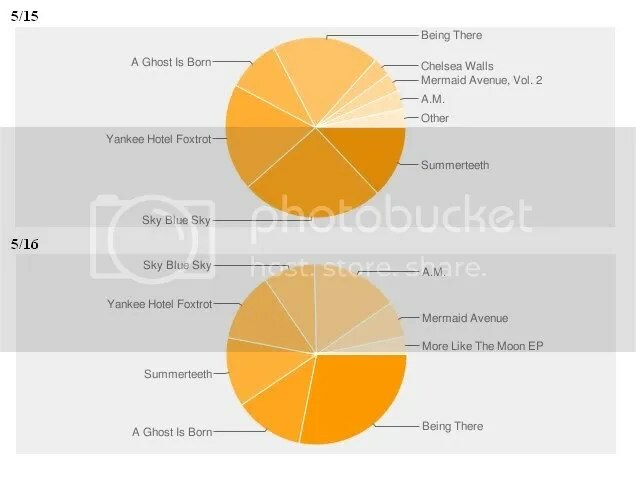 It’s also exciting for the other half of their fans that prefer the more-recent tangential works like Yankee Hotel Foxtrot, A Ghost is Born and Sky Blue Sky and describe them as “po-mo” (whatever that means). During their stint Andrew Bird has stopped by twice to give a ‘lil whistle and a ‘lil fiddle and whoever else pops in for the last two shows is anyone’s guess. Though, I would guess it won’t be any artists Tweedy has dismissed from Wilco Island over the years: Ken Coomer, Max Johnston, Brian Henreman, Bob Egan, Jay Bennett, Leroy Bach. Jay Farrar’s prolly not stopping by either.